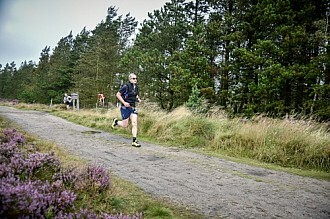 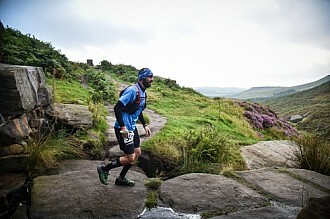 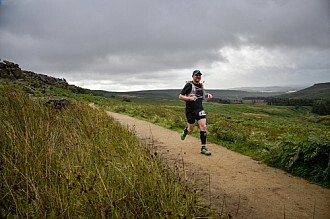 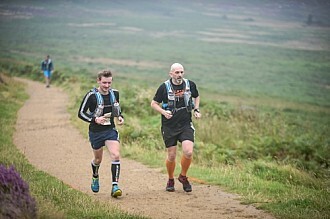 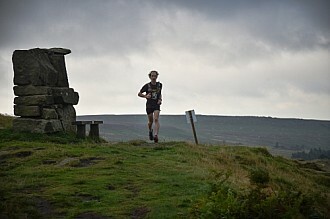 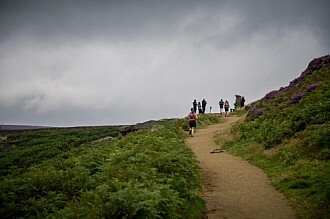 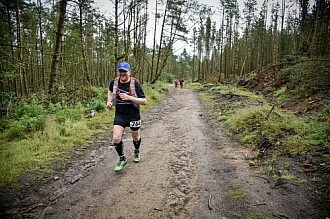 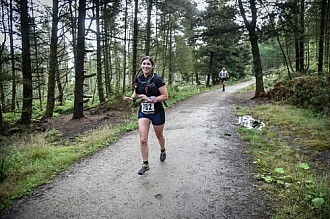 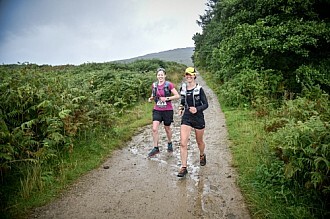 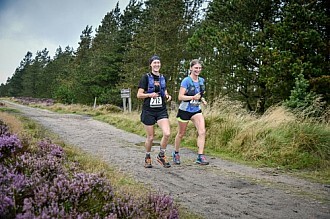 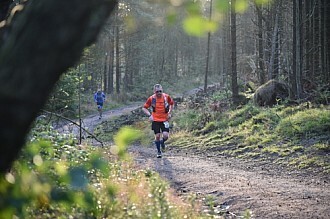 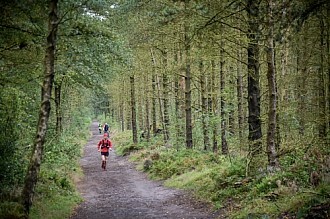 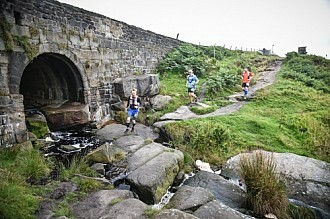 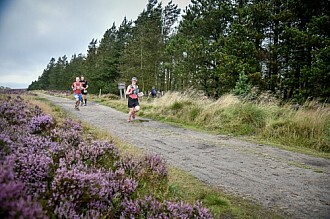 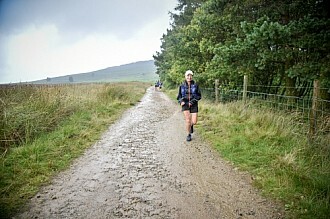 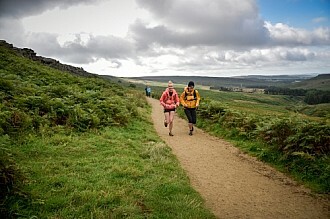 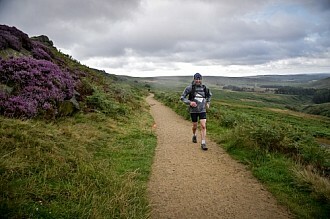 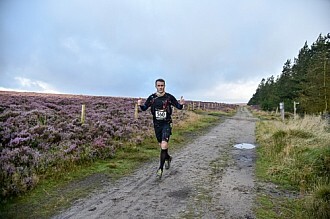 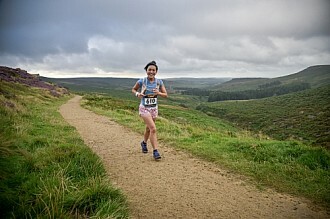 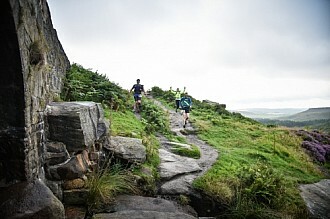 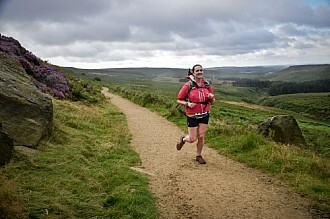 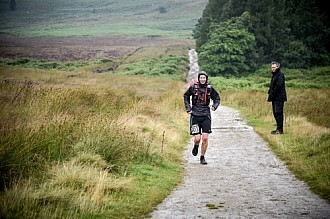 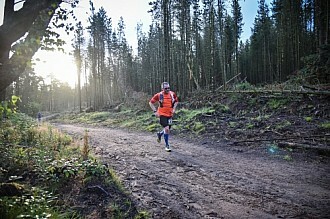 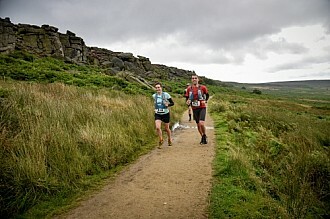 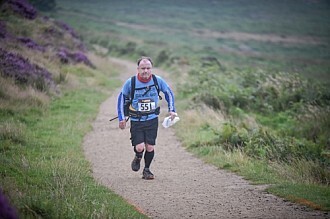 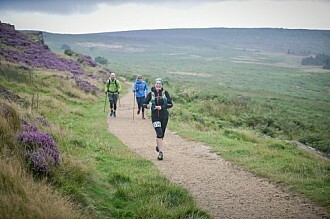 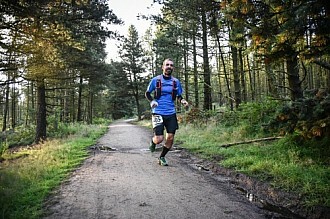 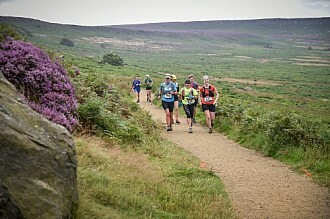 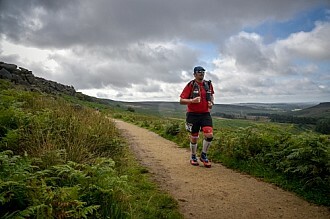 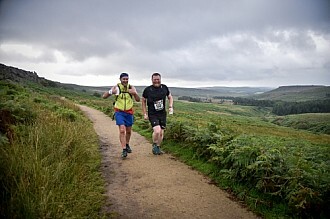 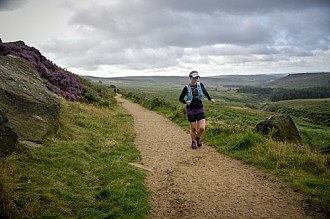 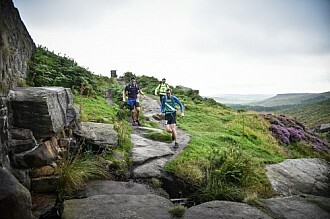 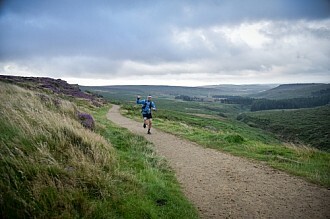 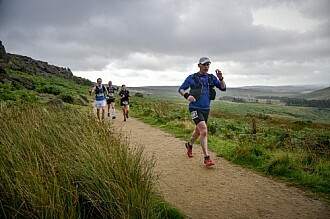 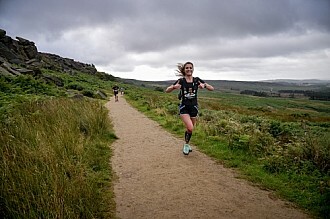 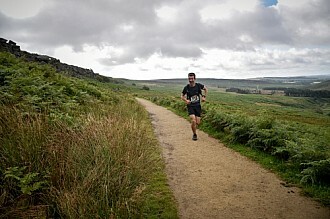 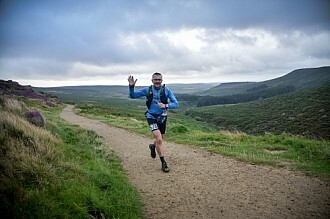 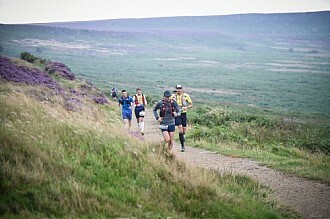 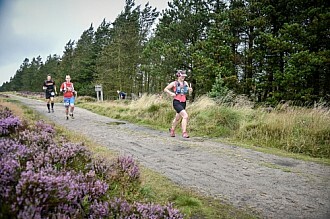 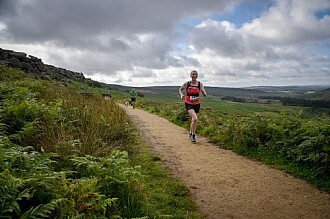 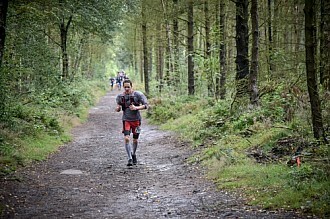 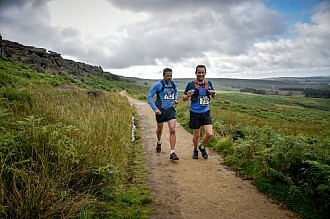 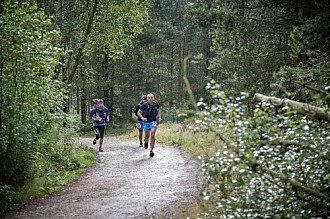 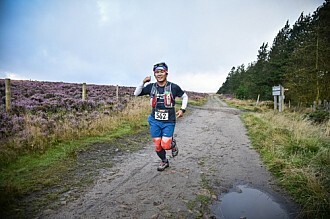 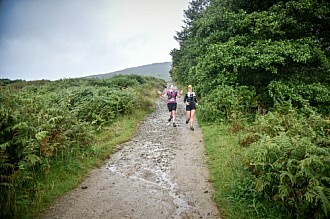 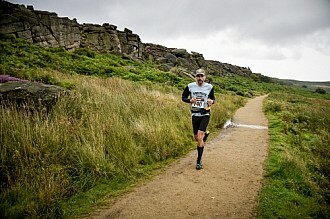 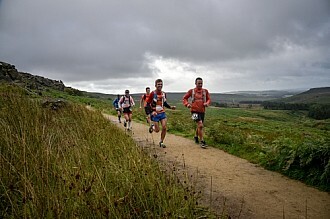 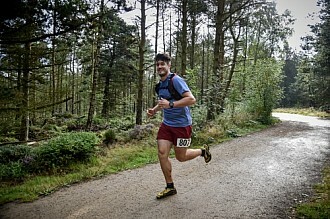 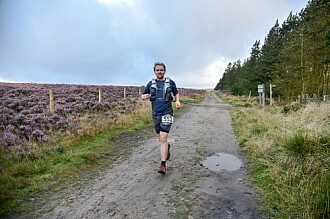 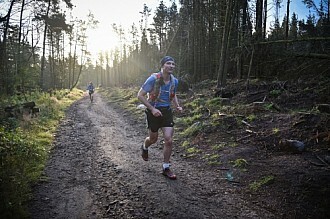 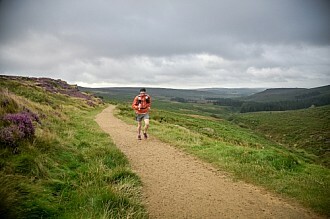 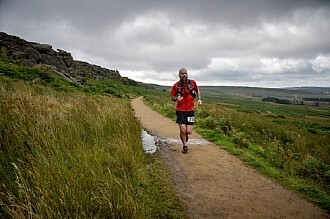 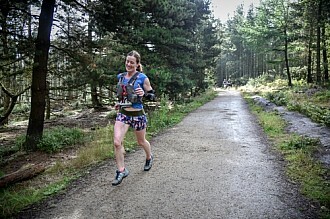 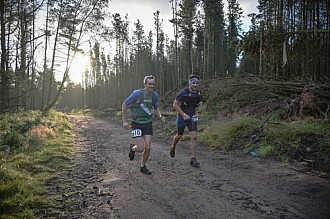 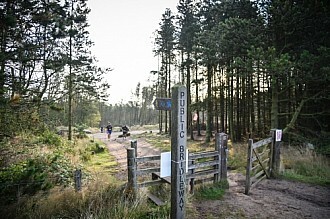 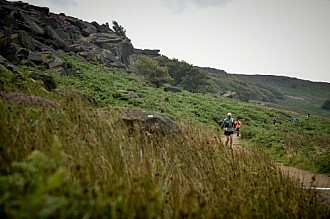 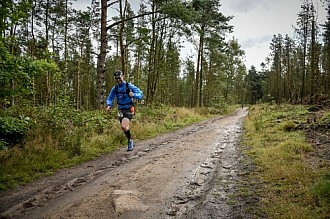 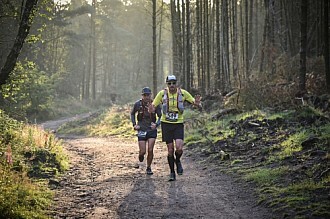 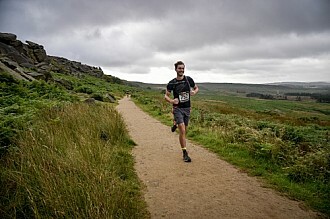 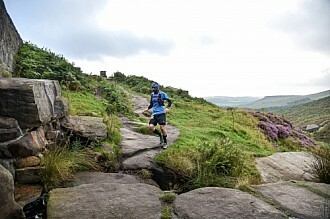 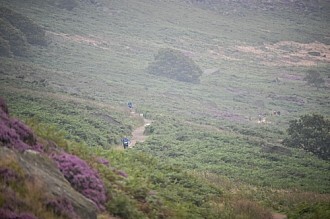 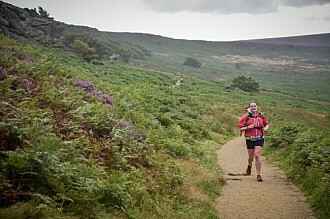 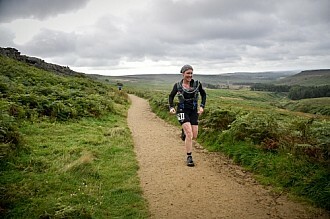 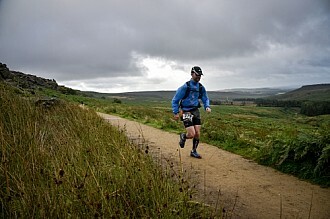 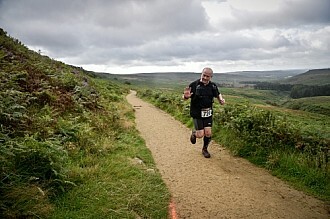 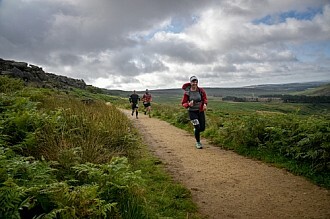 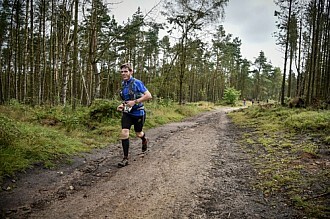 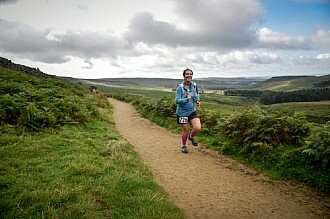 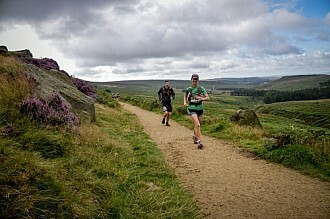 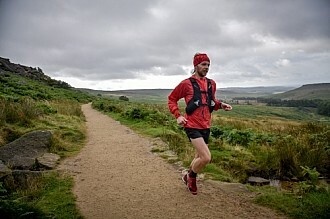 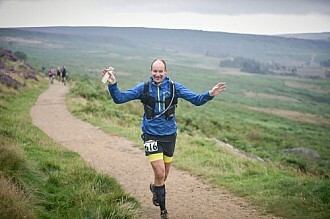 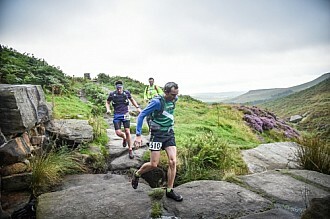 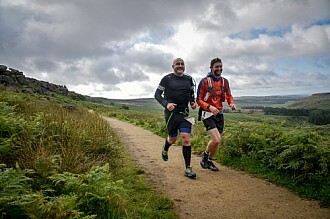 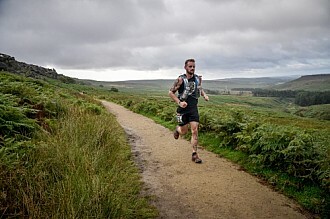 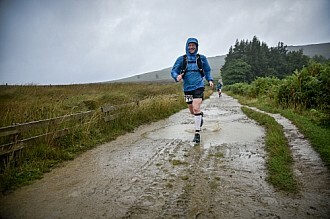 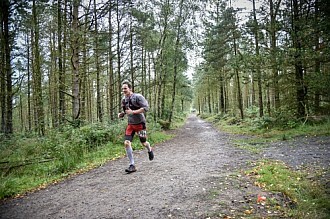 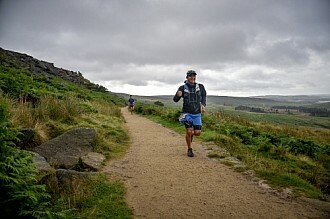 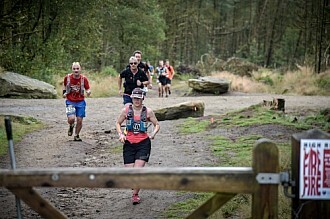 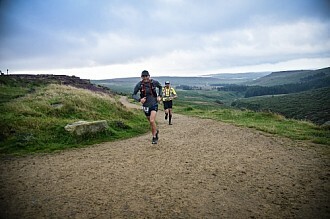 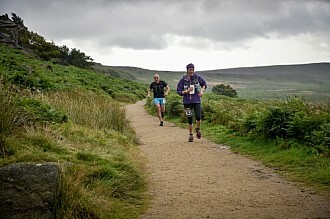 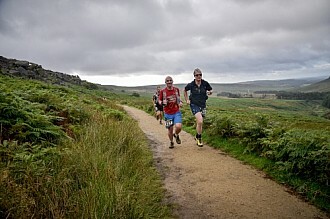 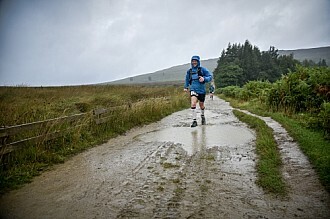 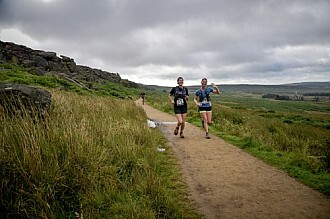 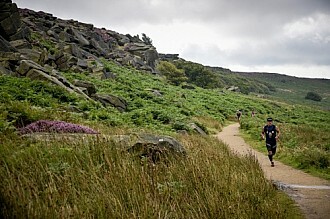 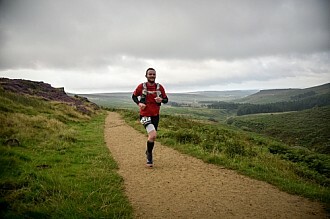 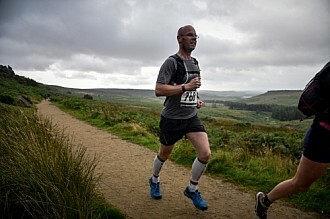 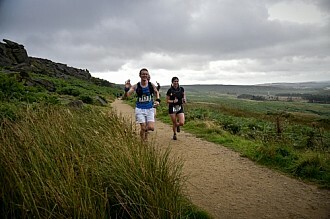 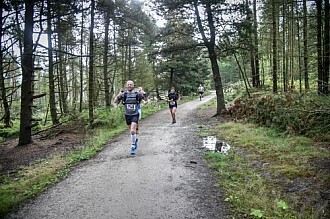 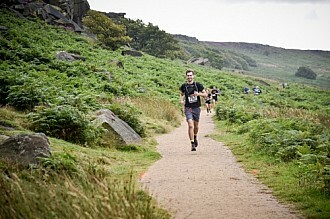 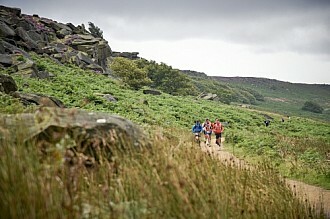 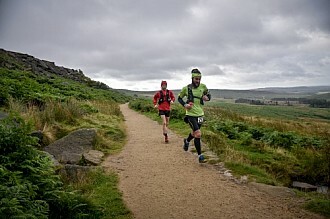 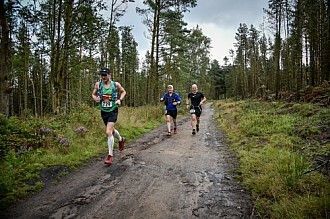 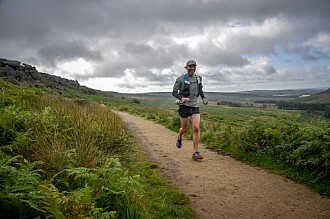 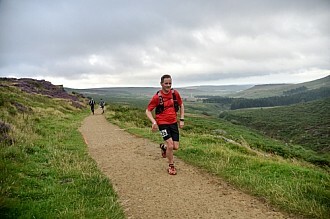 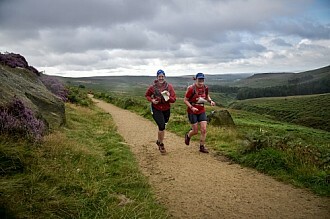 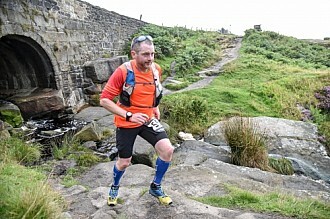 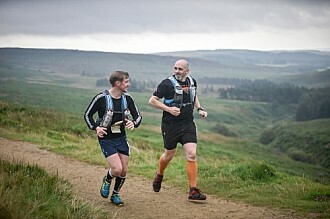 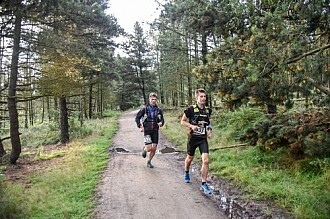 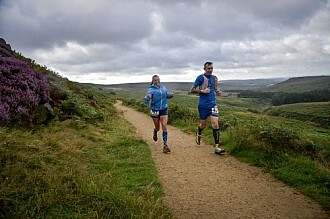 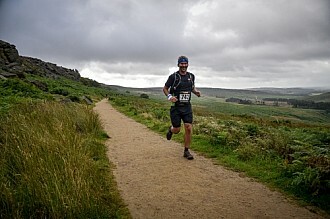 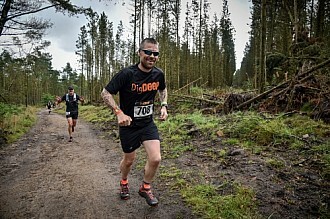 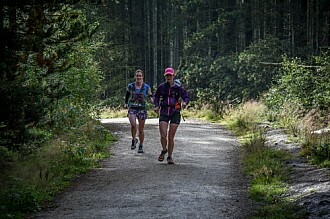 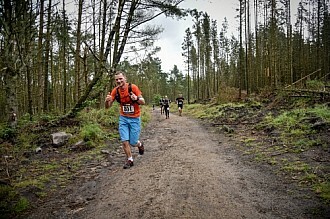 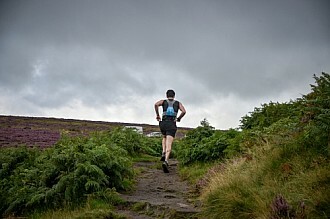 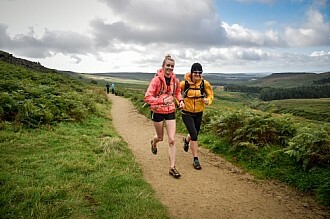 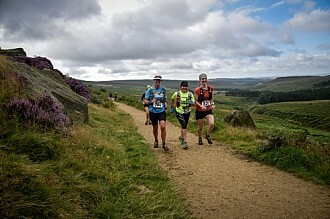 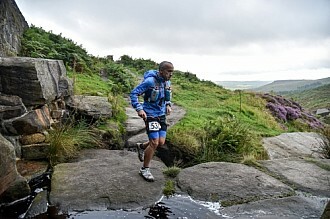 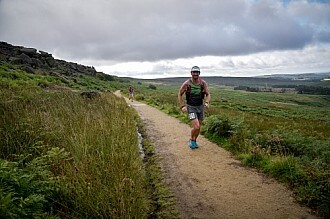 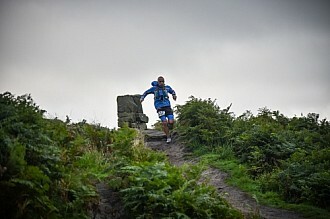 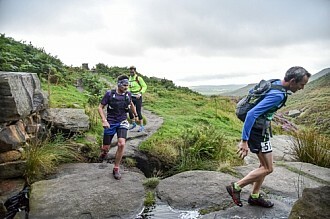 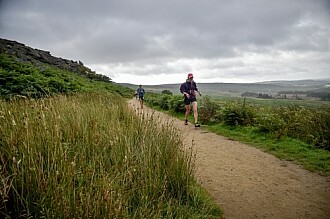 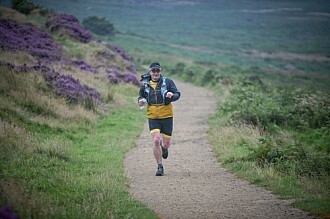 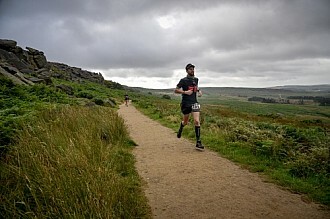 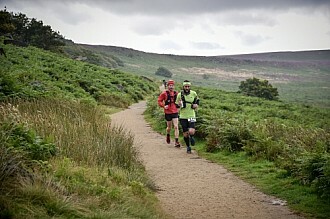 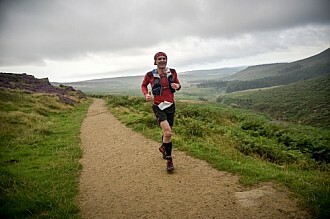 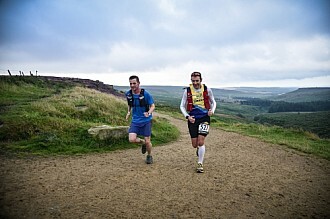 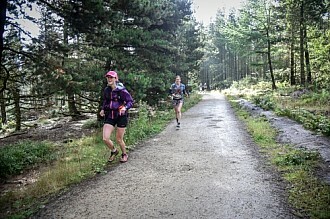 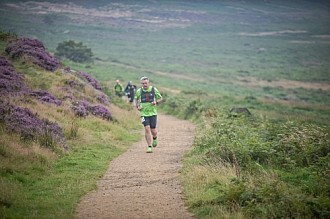 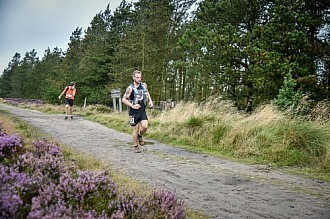 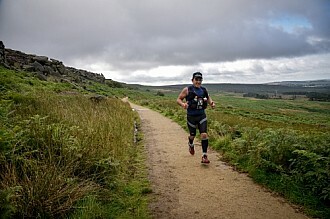 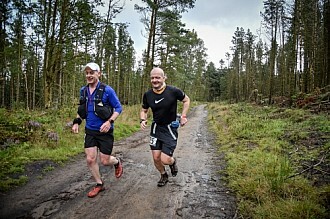 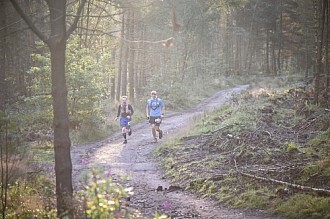 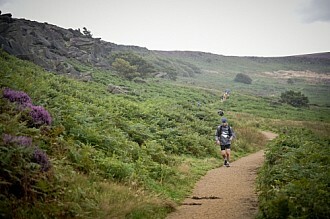 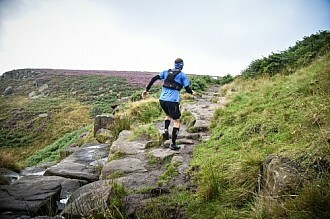 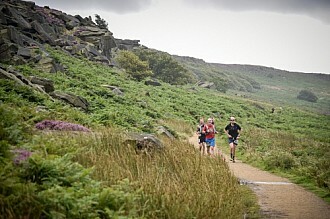 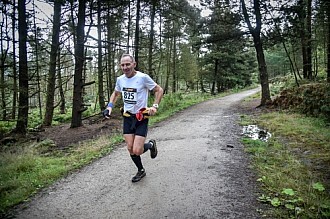 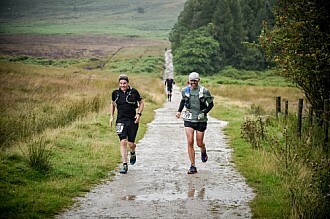 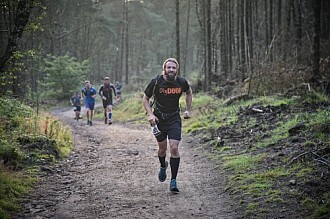 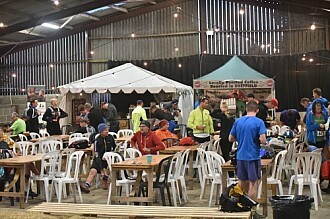 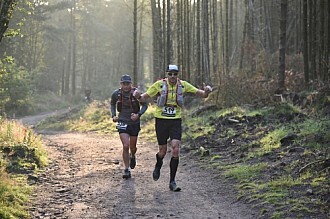 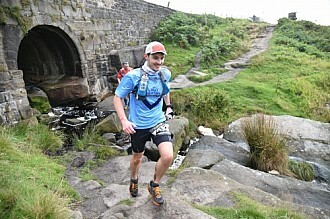 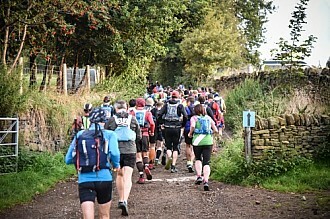 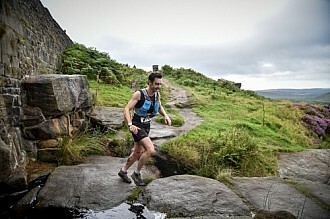 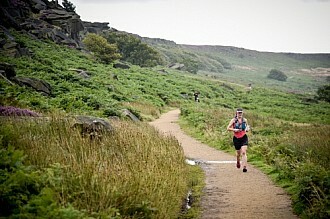 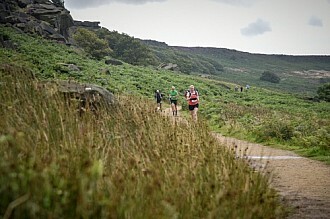 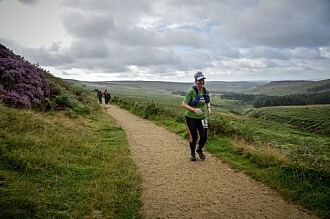 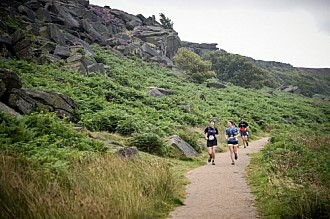 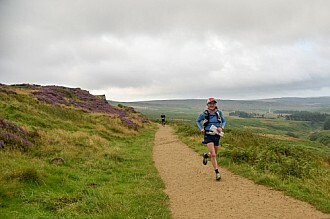 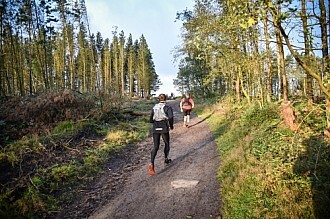 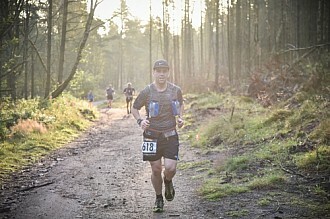 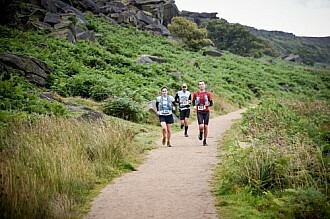 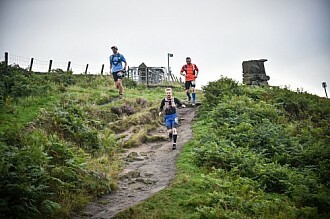 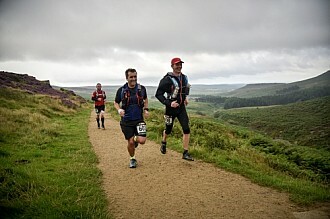 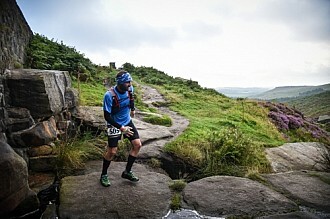 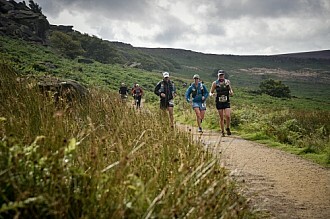 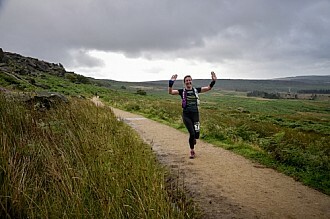 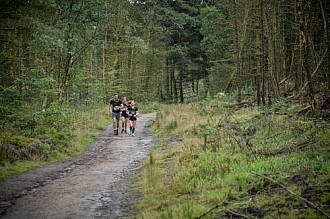 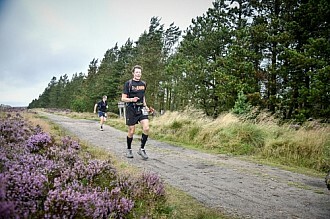 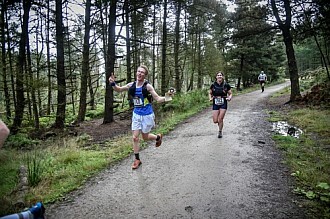 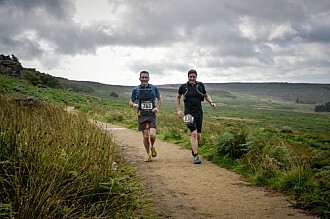 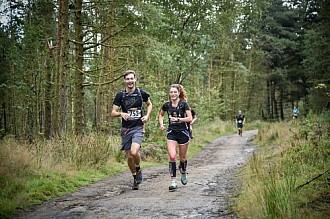 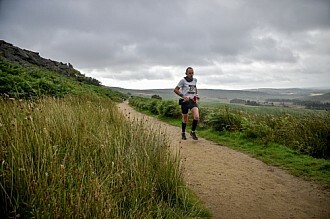 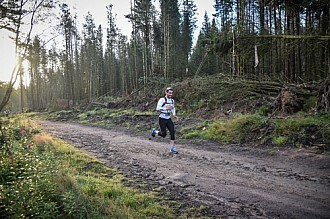 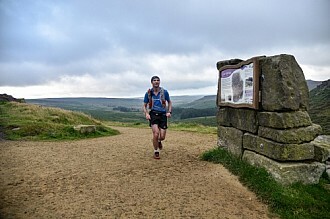 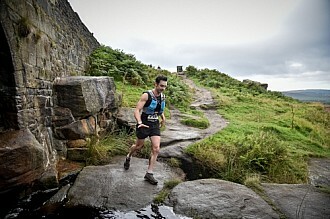 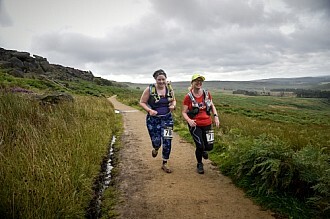 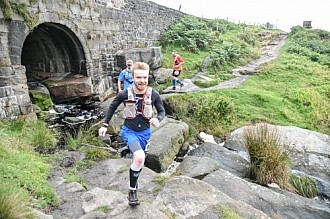 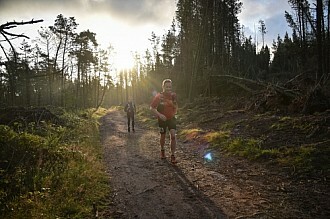 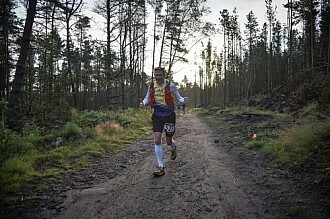 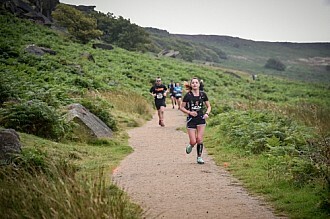 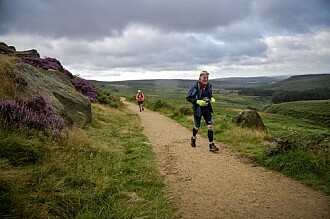 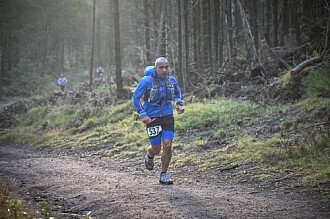 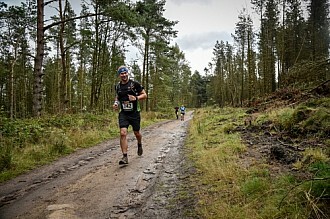 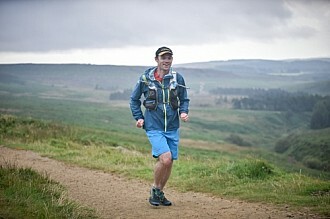 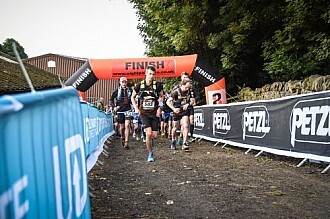 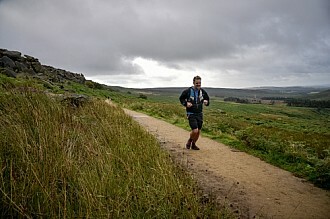 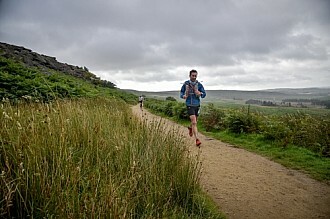 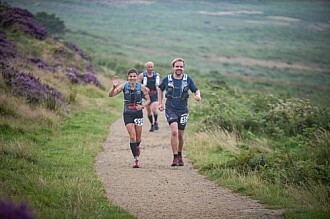 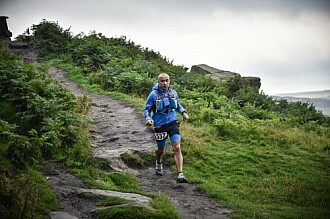 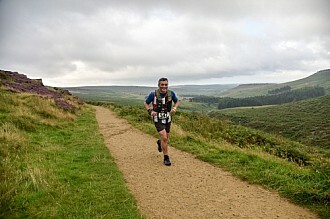 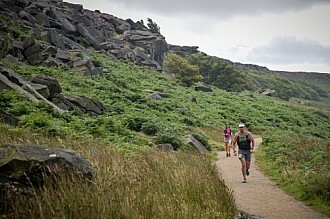 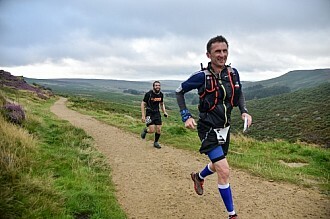 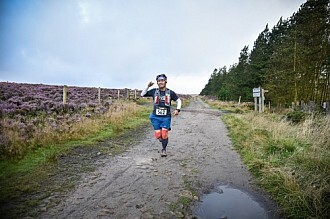 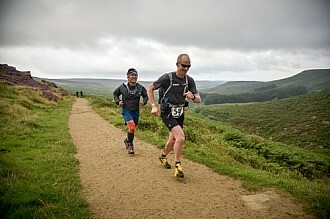 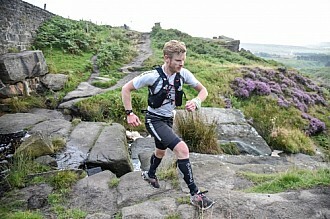 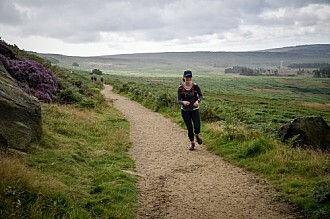 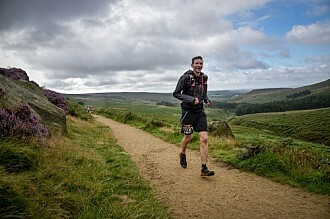 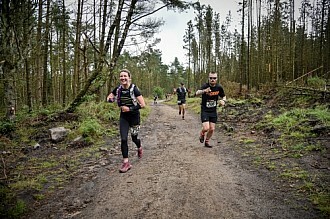 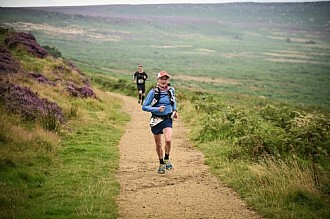 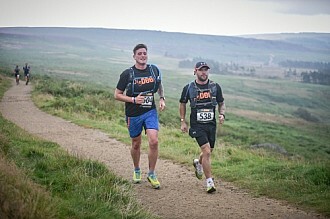 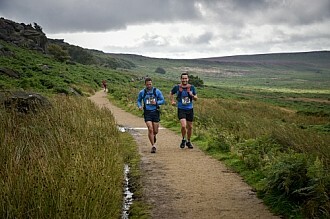 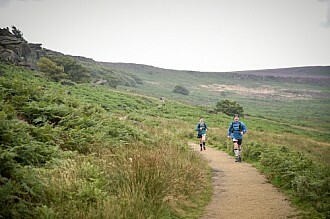 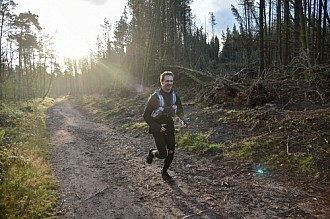 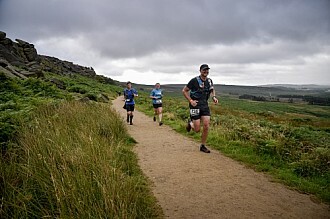 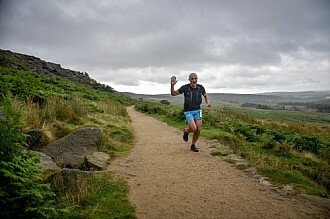 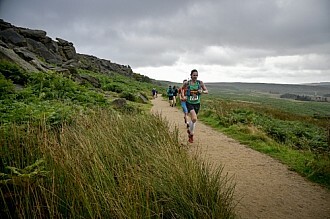 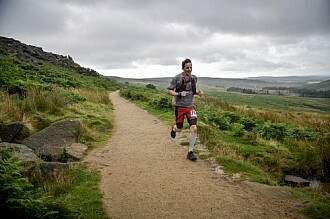 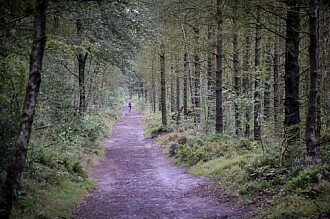 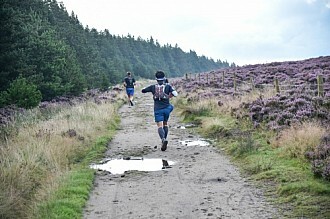 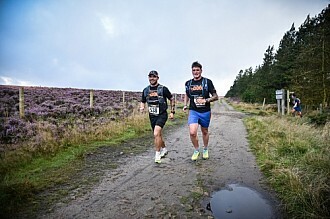 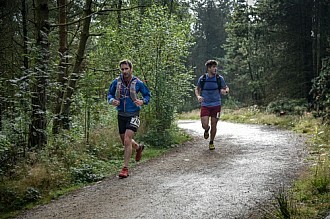 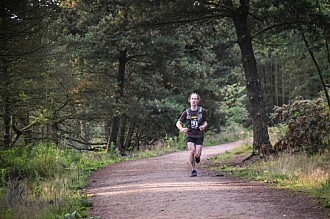 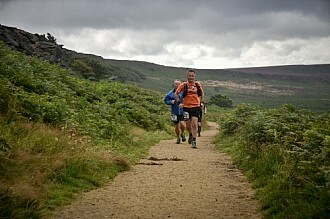 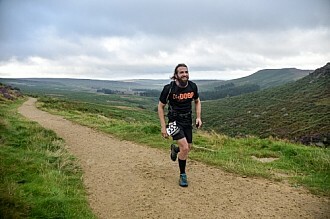 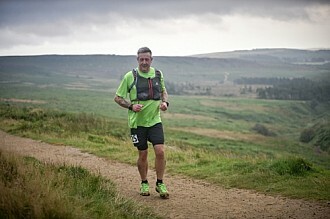 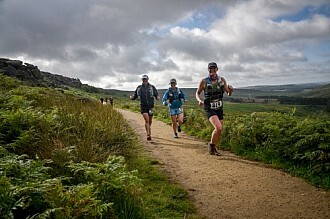 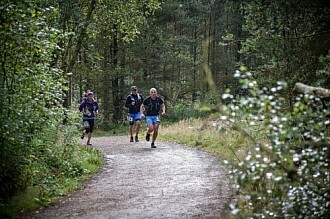 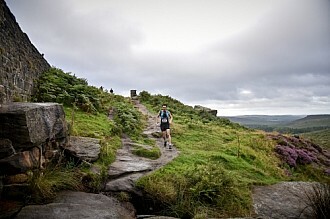 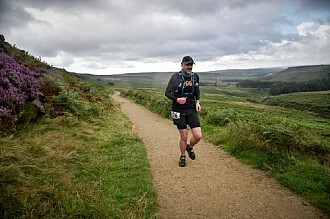 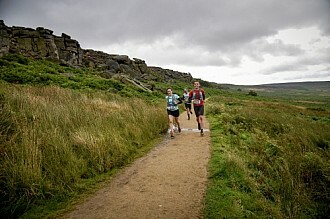 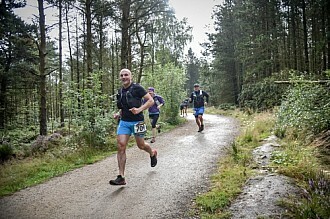 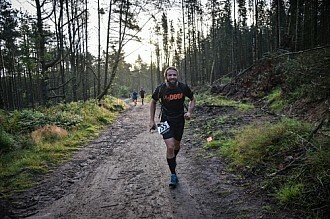 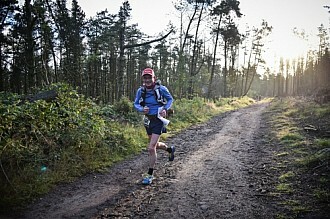 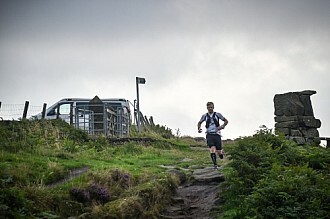 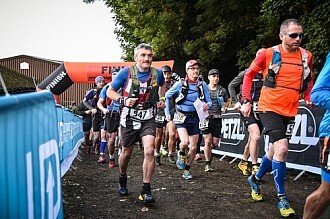 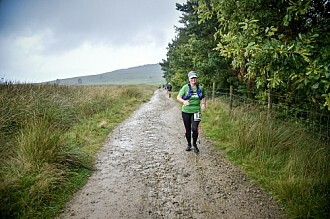 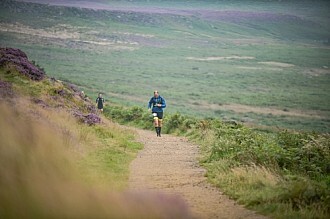 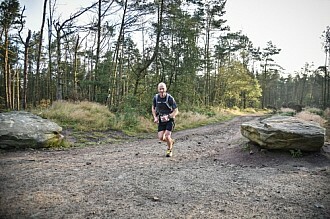 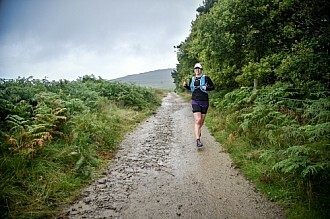 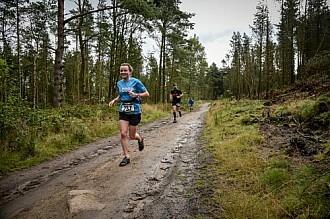 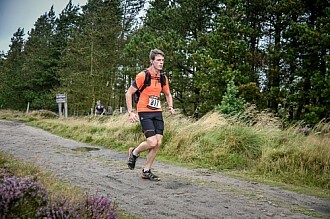 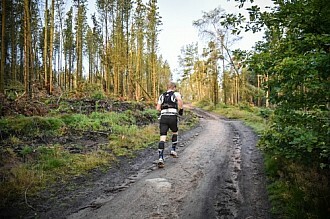 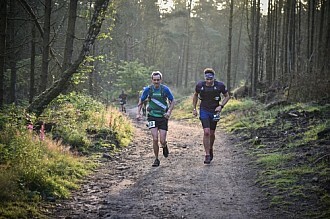 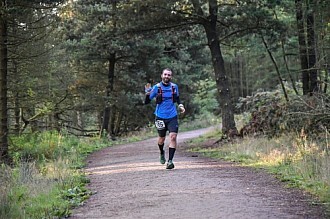 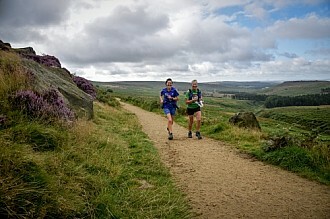 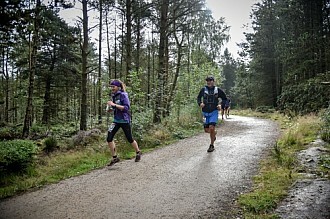 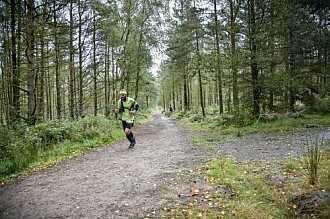 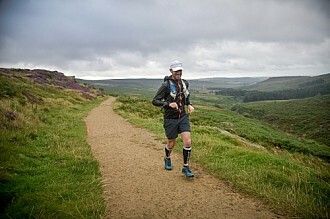 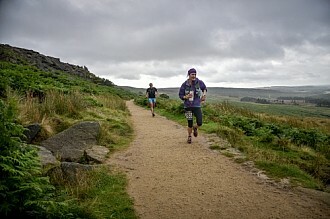 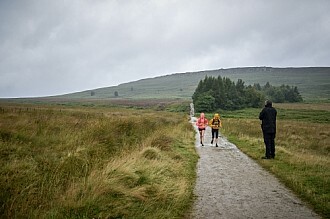 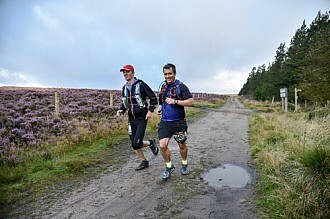 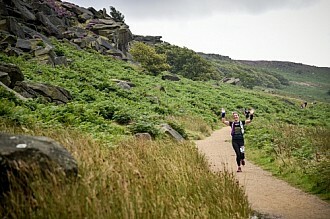 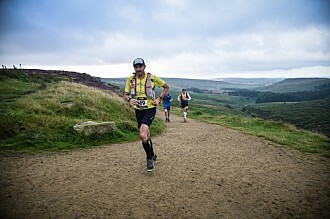 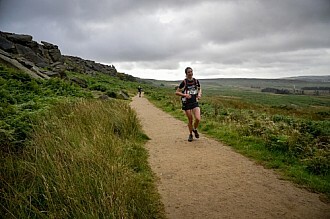 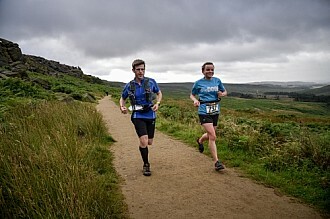 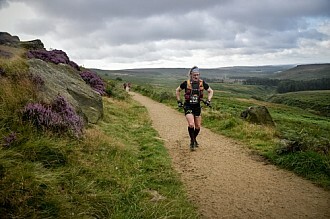 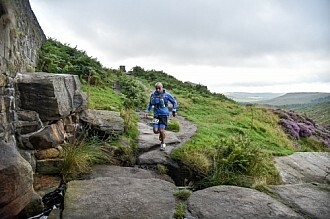 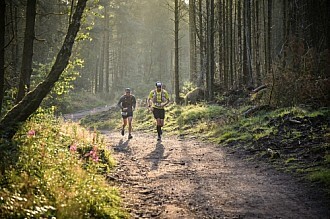 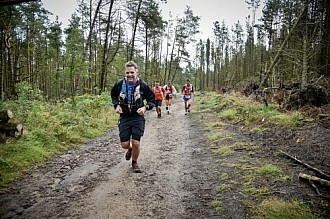 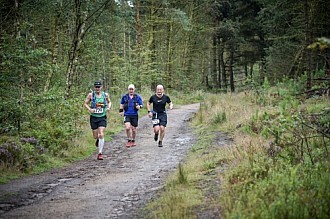 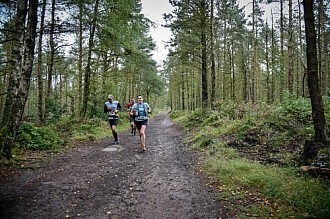 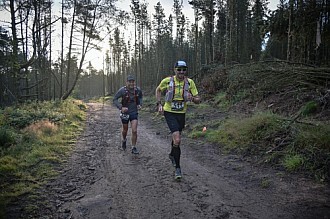 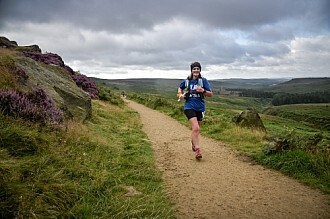 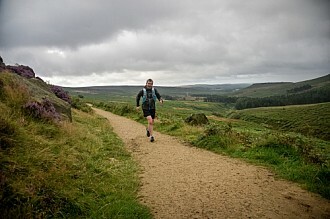 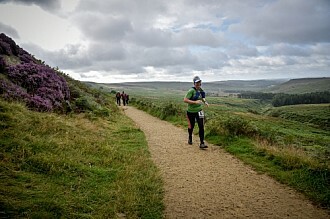 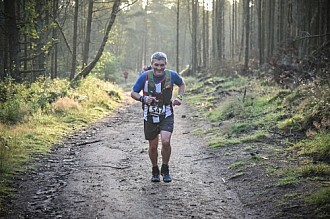 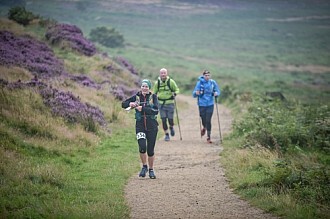 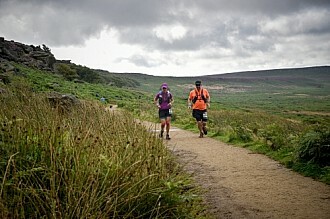 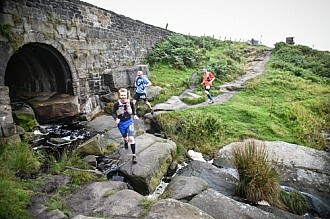 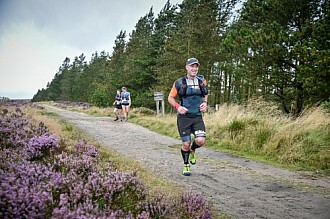 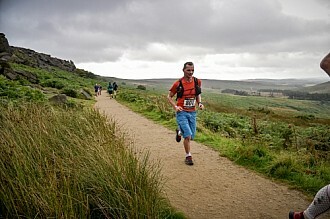 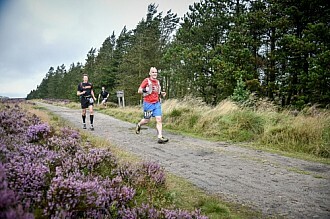 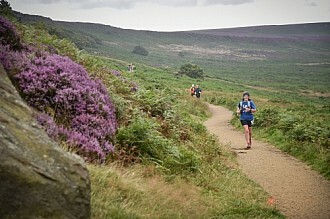 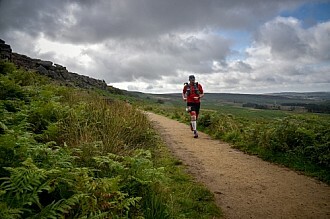 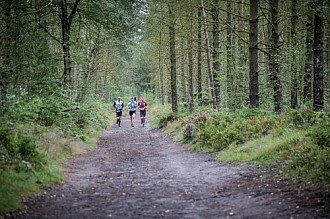 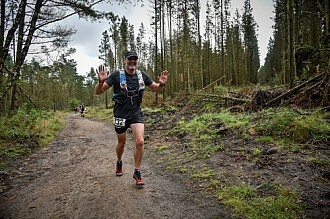 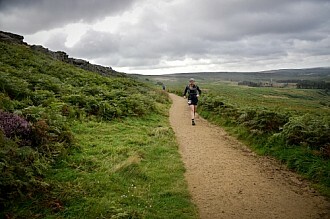 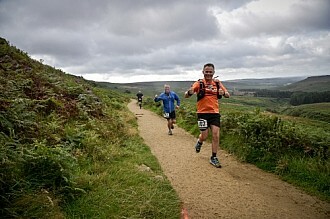 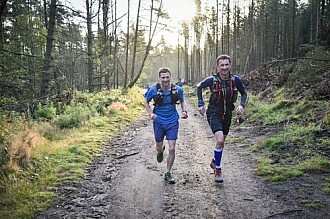 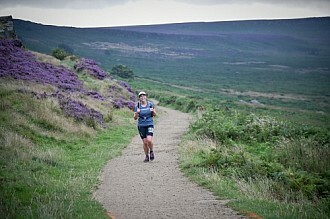 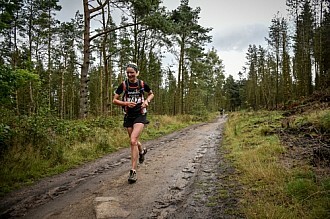 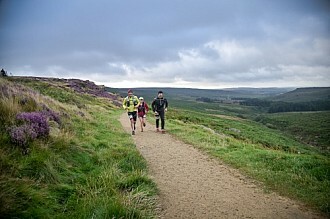 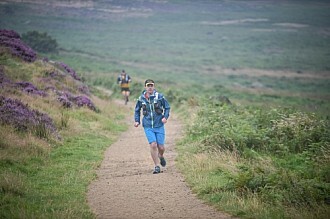 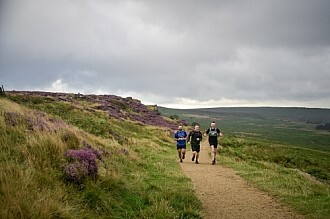 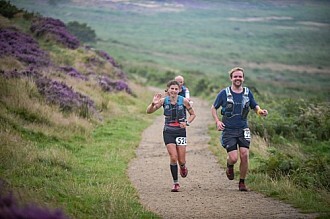 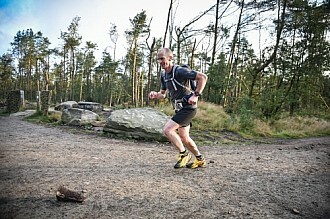 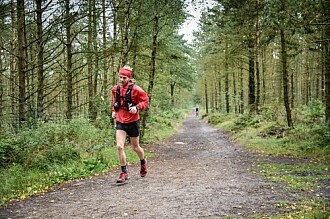 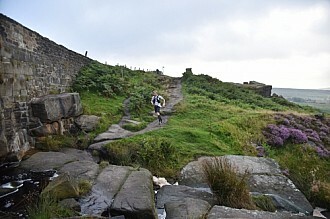 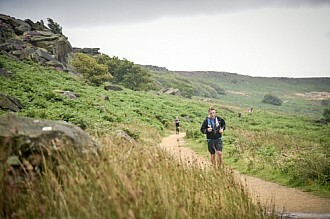 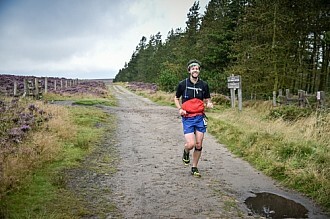 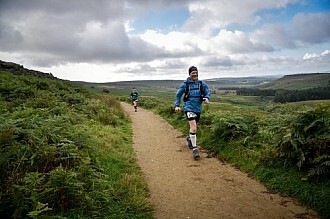 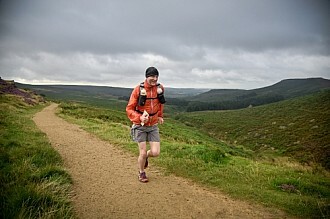 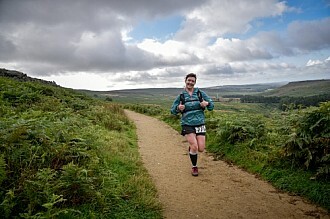 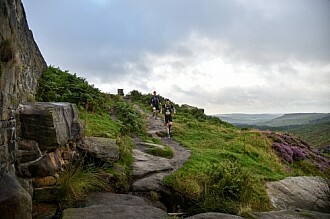 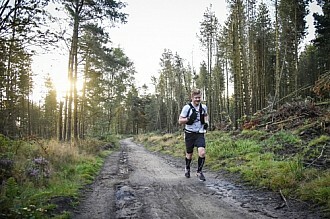 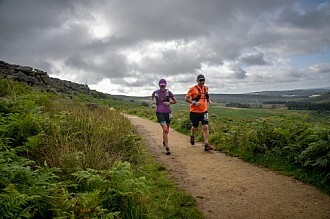 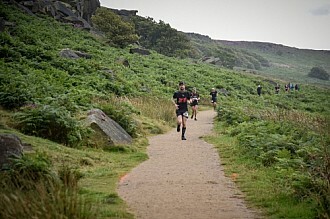 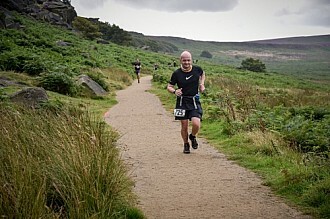 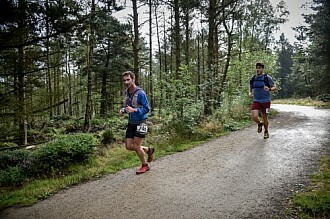 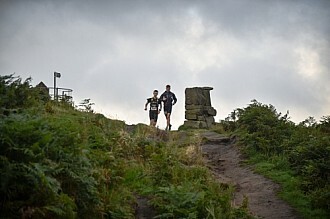 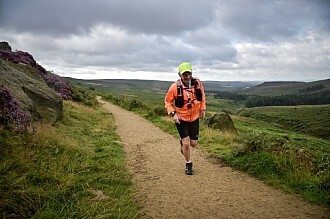 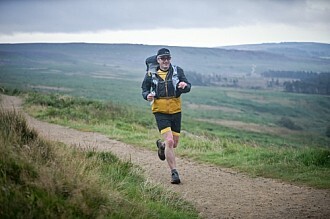 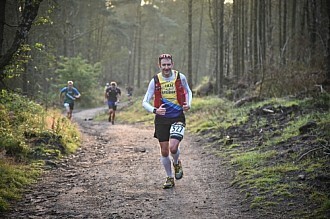 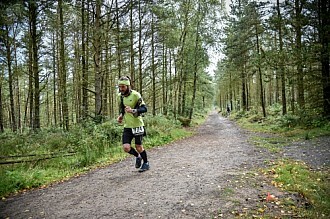 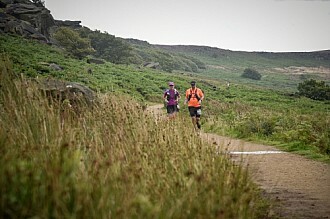 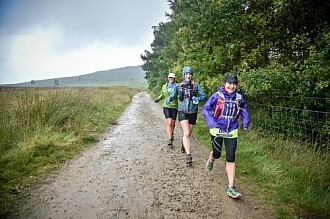 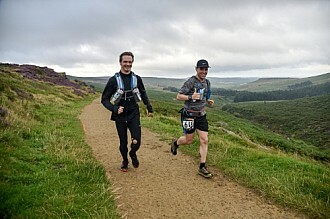 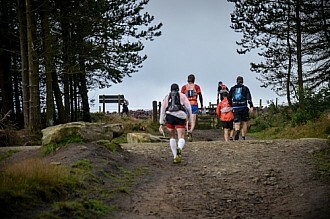 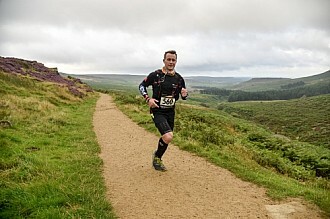 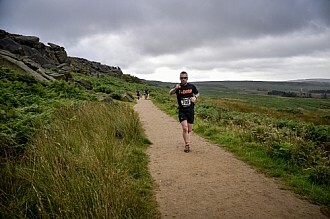 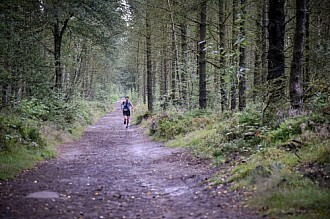 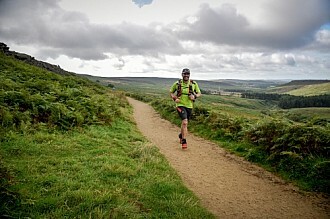 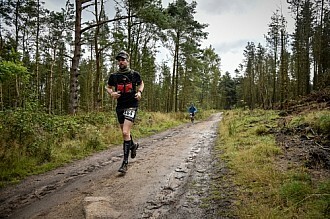 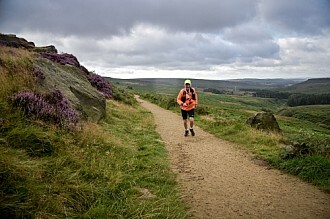 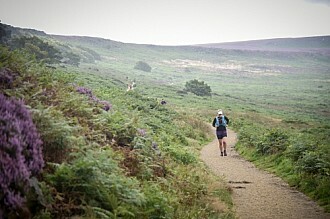 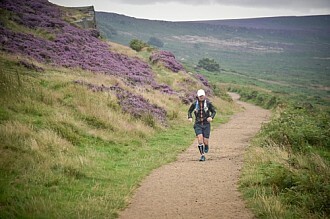 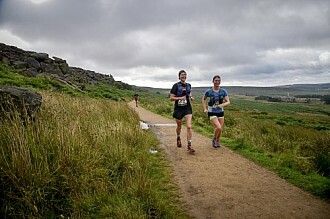 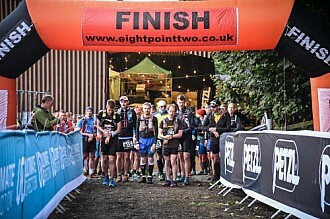 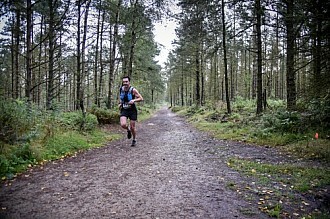 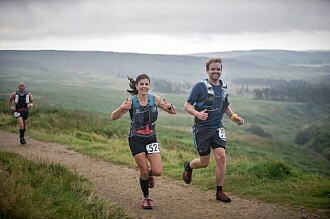 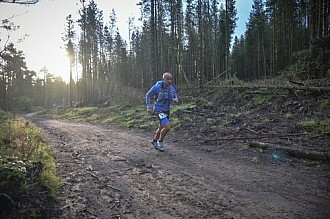 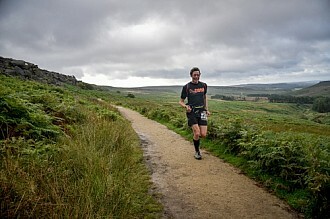 Photos from the Dig Deep races, Ultra Tour of The Peak District, Peak Trails 50 and Peak Trails 30. 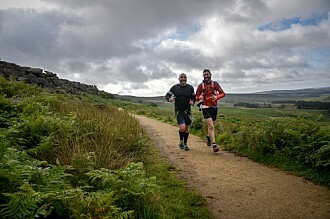 Pictures taken around the course of the 1st day of the Dig Deep festival of running 2017 based in the Peak District National Park. 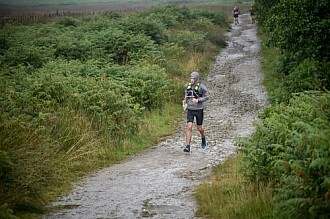 The weather on day 1 was challenging with gusty winds and heavy showers making the exposed parts of the running courses particularly hard. 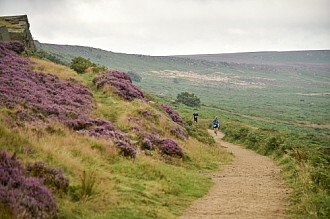 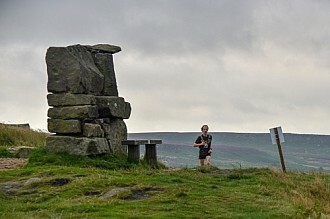 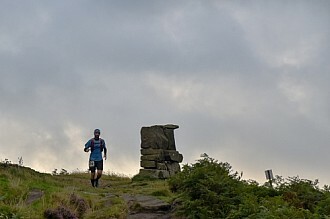 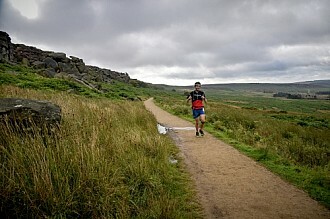 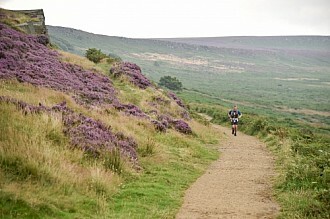 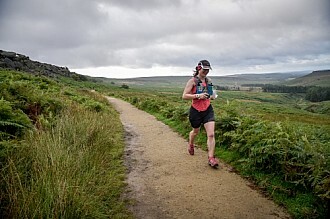 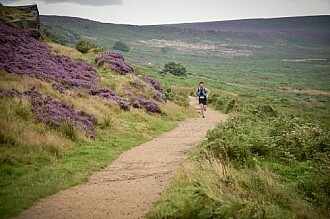 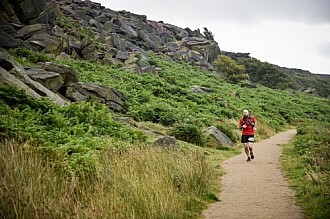 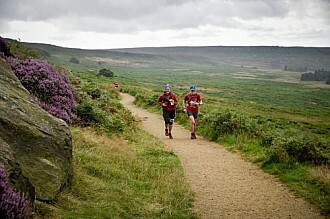 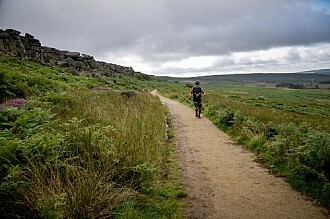 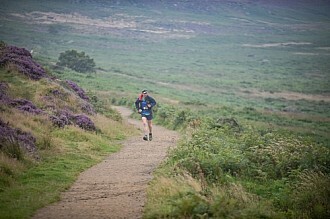 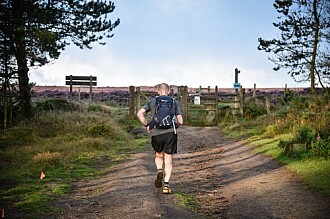 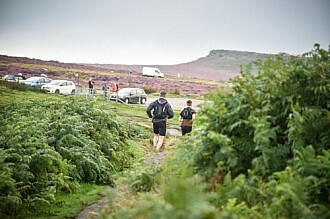 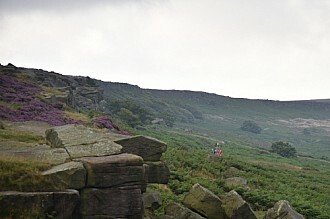 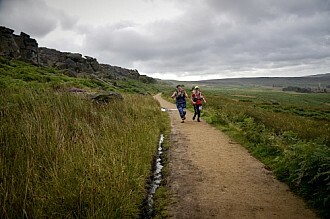 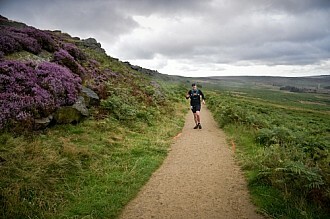 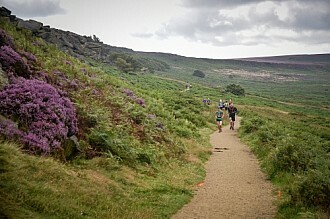 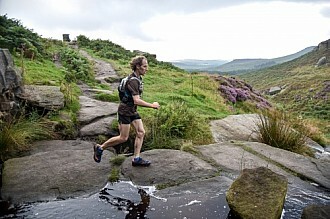 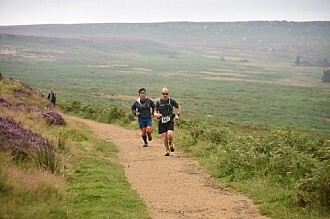 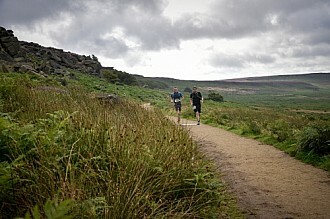 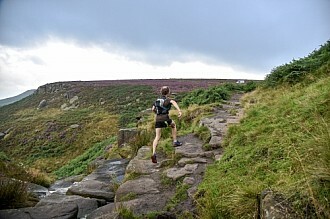 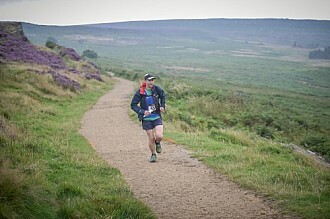 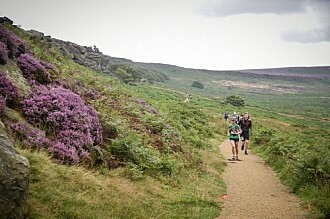 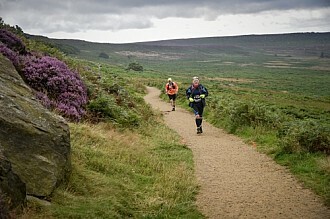 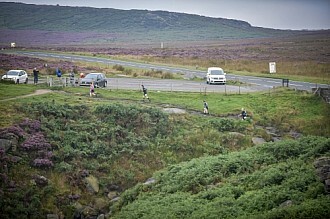 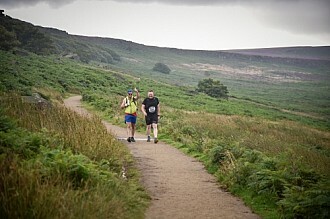 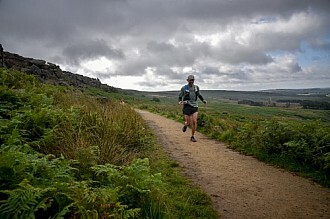 Photos taken on Burbage Edge, Stanage Edge, Win Hill, Hathersage Moor and a few other locations around the course.